It may seem like school just ended but in a matter of weeks, school will be back in session. A summer has passed, memories were made and adventures completed. Before you know it, we will be trying to figure out what to pack for lunch! 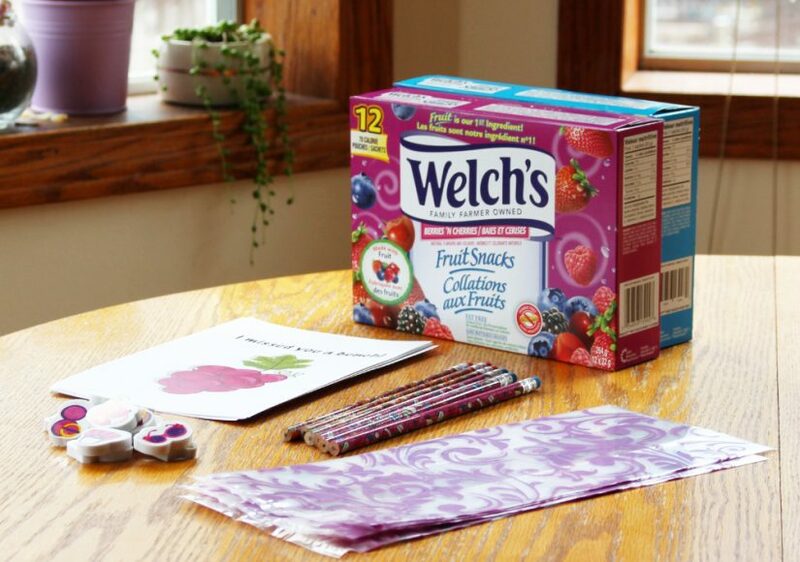 Thankfully, we stocked up on Welch’s Fruit Snacks over the summer to make the school year easier. That first month back to school is always a tough one. It is hard to settle into school mode after weeks of 0 routines. 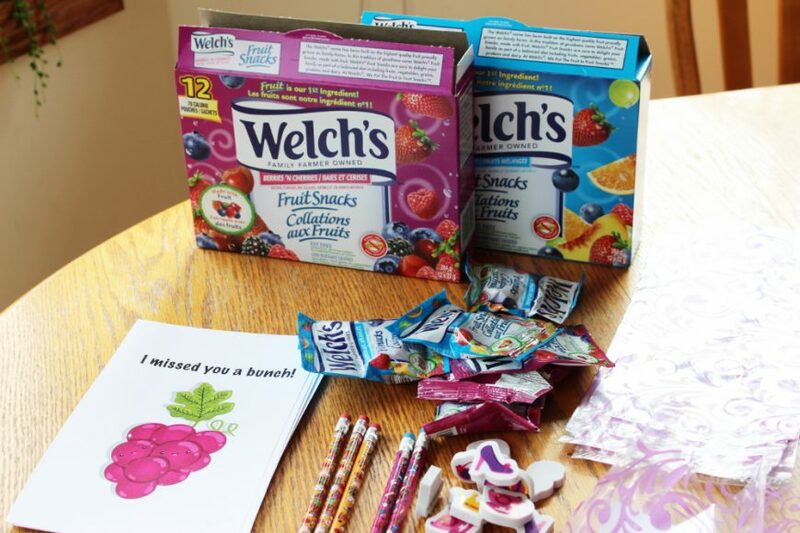 Our BTS Essentials Pack with Welch’s Fruit Snacks gets the kids excited to get back into school mode. 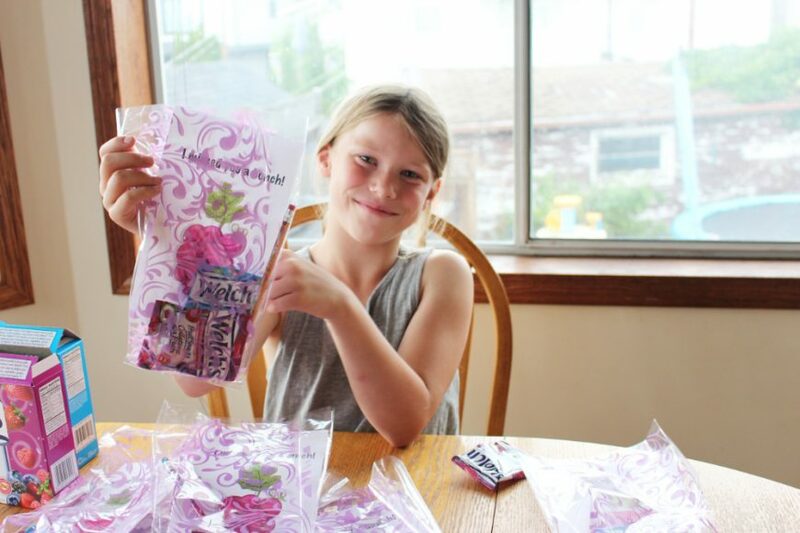 Typically, Ava starts to assemble our BTS Essentials Pack two weeks before school starts. This symbolizes to her that we’re going to be shifting gears back into school mode. Just as we give warnings when it’s time to go or stop playing, we need to give a heads up when we’re about to switch gears and wind down! With both my girls being snackers, it isn’t soon after a meal is done before the requests of snacks are in full force. Welch’s Fruit Snacks have become apart of our daily routine, especially during the school year. With fruit as the main ingredient, these fun, delicious fruit snacks are a great way to get the kids smiling! So naturally, it’d be one of the main components to our BTS Essentials Pack. 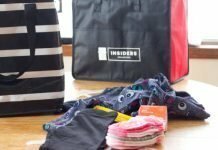 We use the two weeks leading up to the beginning of the school year to get ready by putting together these BTS packs for her core group of close friends. Since Ava & her friends love Welch’s Fruit Snacks so much, it was a no-brainer to head down to Walmart a little early to grab Welch’s Fruit Snacks for our BTS Essential Pack. Along with some fun pencils, erasers and the obvious delicious crowd favourite, Welch’s Fruit Snacks, we also included this fun FREE Printable Download for those friends she missed during the summer. 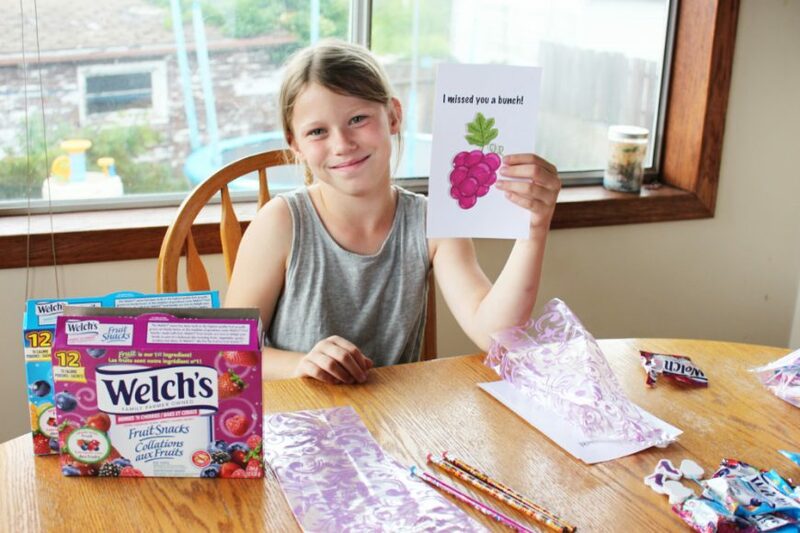 Welch’s Fruit Snacks are a fun and a delicious snack that the whole family can enjoy! 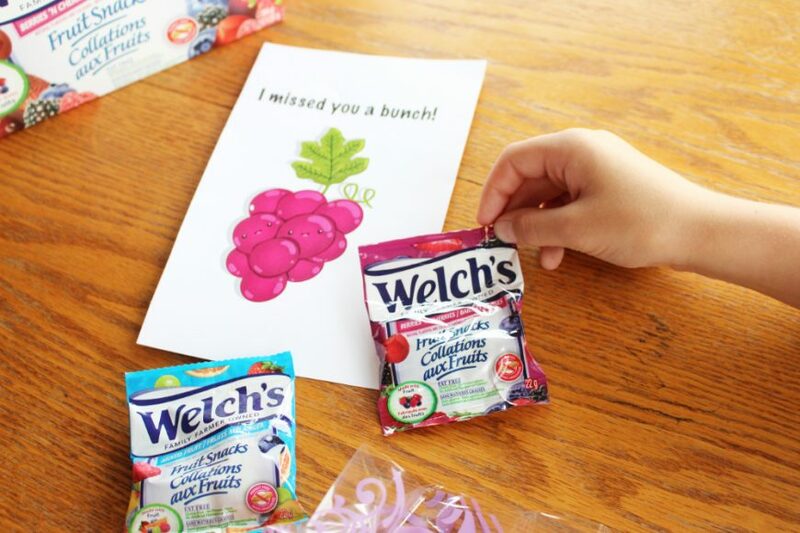 Whether you’re packing them for the kids’ lunches or sneaking them in the diaper bag, you cannot argue that Welch’s Fruit Snacks are delicious! With fruit as the first ingredient, Moms everywhere love them and the kids cannot stop eating them. We call that a solid win! 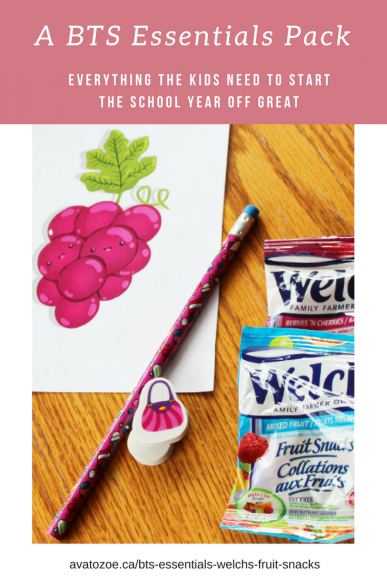 Make Welch’s Fruit Snacks a part of your back to School routine with our BTS Essential Pack including this FREE Printable Download! Download your I Missed You A Bunch	(43 downloads) Print! 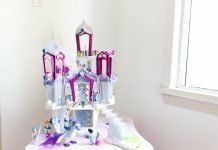 Looking to make your own BTS Essential Pack? 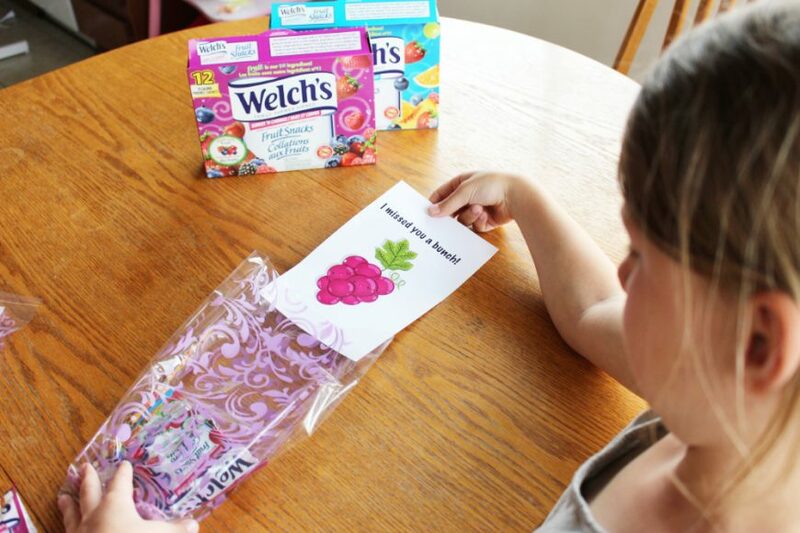 Download this coupon for $1.00 off your Welch’s Fruit Snacks!